First American Garage Doors provides superior services tailored to your needs. 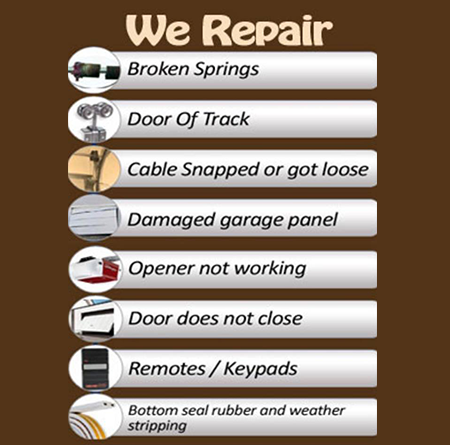 As your premier garage door company in Chicago Ridge, IL, we provide garage door installation and repair services; we guarantee the best prices and quality service on every job. We offer free estimates so you can get a clear idea of what your project will involve before paying a dime. Contact us today to request your estimate. When hiring any company, you want to be sure that they have the knowledge and expertise required to meet your needs. Here at First American Garage Doors, we put a decade of experience to work for you every day. Our family-owned-and-operated company provides prompt, efficient services to ensure 100% customer satisfaction. We'll beat any competitor's prices while always using the best parts. Trust us to listen carefully to your requests and to treat you with the utmost respect at all times. To find out more or to request a free estimate, reach out to us today. We look forward to serving you.